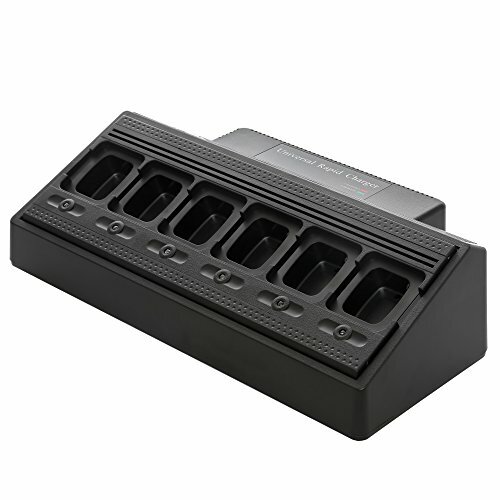 This universal rapid 6 bank charger utilizes fully interchangeable adapter cup system to support most portable models. This model fits for disaster relief, public safety, rental fleets and any radio user. Six independent microprocessor controlled chargers with 6 charging cups and charge up to 6 batteries at the same time. Rapid charging rate up to 750 mAh/hr and provide 2 to 4 hours charger time for regular batteries.